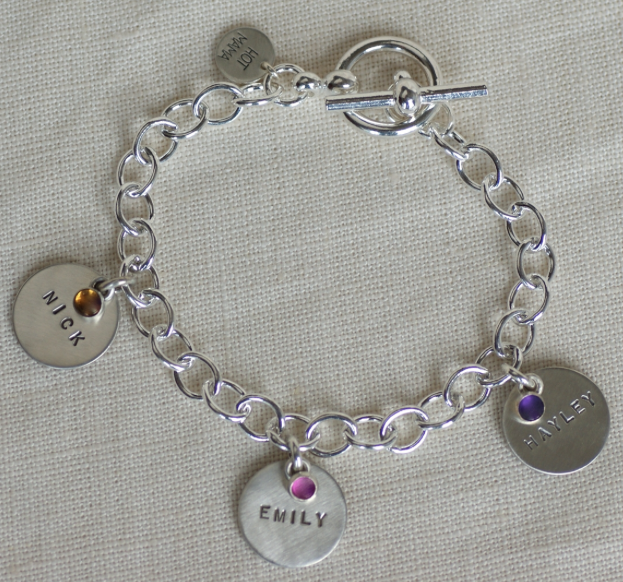 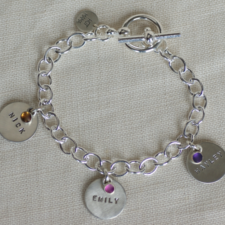 This personalized charm bracelet for moms is beautiful. 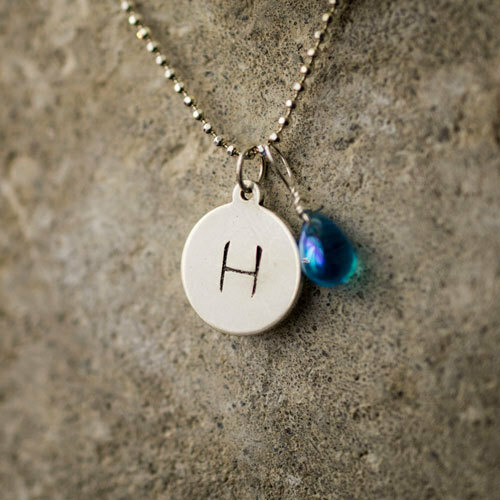 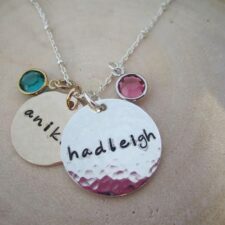 Discs engraved with kids names & colorful birthstone charms make a great gift for mom. 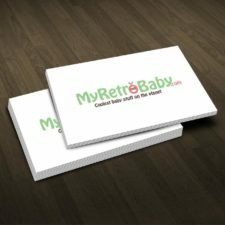 Visit my Retro Baby! 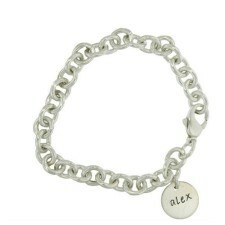 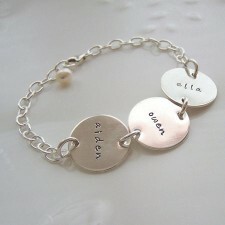 This personalized sterling silver mens bracelet is a cool, masculine piece of jewelry. 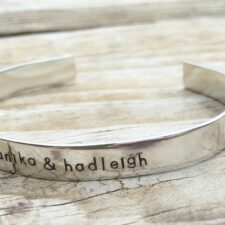 Makes a great gift for dad! 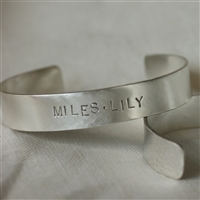 Shop MyRetroBaby.com now for men gifts! 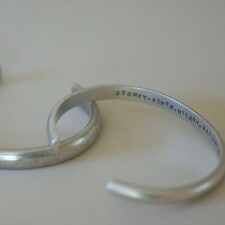 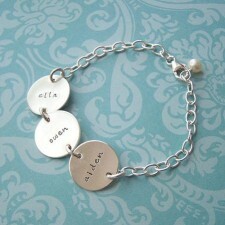 This silver circle name bracelet is beautiful. 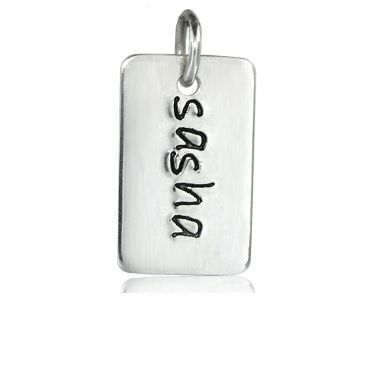 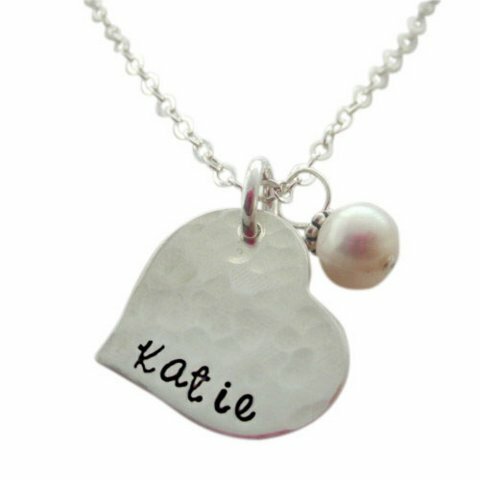 Features 3 hand-stamped charms. 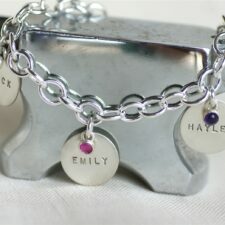 Each one will be hand forged with your choice of words or names. 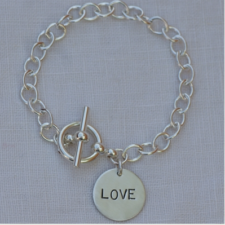 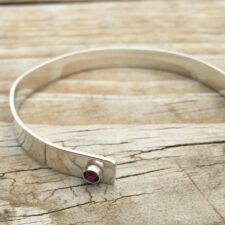 This bracelet will be custom made for you! 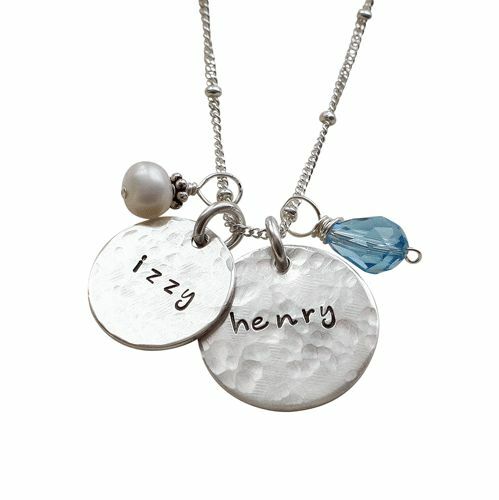 Shop My Retro Baby today for mom necklaces and personalized bracelets today! 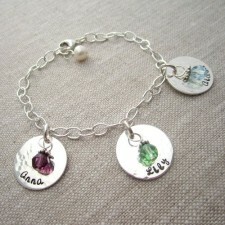 This gorgeous bohemian bracelet for mom will be a lasting keepsake to cherish always. 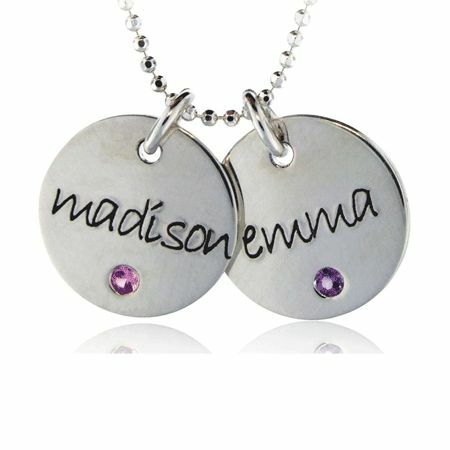 It has personalized engravings on the front and back of stylish hand hammered discs. 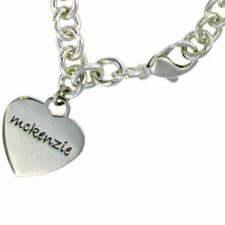 Shop My Retro Baby today for mom necklaces, personalized bracelets and more.